Scores of children flocked to the Park where they were greeted by the staff and volunteers of both Horses Helping Humans and the event sponsor, Republic Bank, who welcomed the youngsters and their families with armfuls of balloons and brightly coloured stickers. Some children were immediately drawn to the petting zoo, which allowed them to view and interact with a wide variety of wildlife, while others preferred to make their first stop at the face painting station where they were given the choice of having their faces painted in the style of any cartoon character their hearts could wish for. The young attendees also participated in kiddie yoga where they got an early introduction to exercises in breathing, movement and mindfulness. The yoga session was followed by an interactive and educational puppet show produced by the Caribbean Kids and Families Therapy Organisation. Each segment of the puppet show featured a differently-able character and reinforced the message that while we may all have different needs and abilities we are all worthy of respect and friendship. The Horses Helping Humans Rainbow Fun Fair is held each year as a fundraiser to provide Hippotherapy (therapy with the aid of horses) to autistic children. 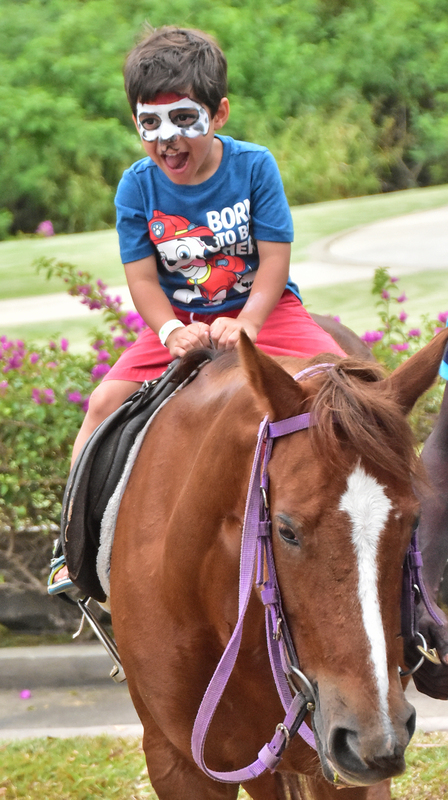 Despite being established fairly recently, in 2013, Horses Helping Humans has already made dramatic progress in raising awareness and advocating for the rights of the differently-able while also filling critical gaps in special needs care in Trinidad and Tobago. Republic Bank’s support for both Horses Helping Humans and the Fun Fair is in keeping with the Power to Care pillar of their Power to Make A Difference Programme which provides support for the differently-able as part of the Bank’s broader goal of building successful societies. The Bank is proud to have played a part in the success of this year’s Fair and to show its support for Horses Helping Humans and the differently-able throughout the year.